Stade Allianz Riviera, the jewel in the Niçois sporting crown, is in the running for the Stadium of the Year 2013 award – time to vote people! The Stadium of the Year, now in its fourth year, is the world’s largest open vote of its kind, attracting 14,000 online votes last year. All major modern stadia with a capacity of at least 10,000 spectators that were either built or completely redeveloped within the last 12 months are eligible to be nominated. The Stade Allianz Riviera is among the 18 stadia to have made it through the final nomination process, and is one of only two nominees representing France, the other being Stade Jean Bouin in Paris. 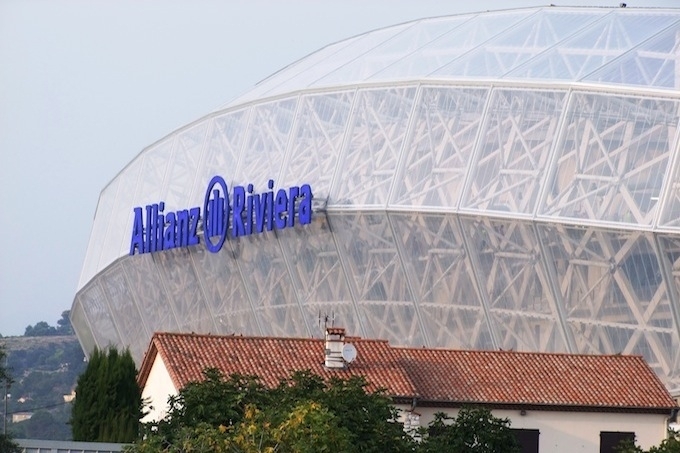 “Including Allianz Riviera was absolutely obvious. Both in terms of aesthetics and sustainability this stadium stands out not only in France, but in Europe overall. The translucent external wrap makes it seem very light, while inside it looks even bigger than it actually is – that’s a superb outcome”, says Michal Karas, editor-in-chief of StadiumDB.com, competition organiser. Allianz Riviera, the new home to OGC Nice, is among the list of 17 other stadia that opened globally in 2013, with entries coming from countries like Sweden, Brazil, China, and Germany. Now is your chance to let your voice be heard and show your appreciation for our great local facility by supporting it in the Stadium of the Year 2013 vote. Voting is open to anyone who has an internet connection. This year’s vote runs until 22nd February and you may take part only once. Last year the winning stadium was Arena do Grêmio in Brazil. Previous winners also include PGE Arena Gdansk (Poland) in 2011 and Aviva Stadium in Dublin (Ireland) in 2010.